This is a pre-order item. Our expected ship date is June 30. We recommend pre-ordering early to lock in today's price and to avoid potential sellouts. 2% Pre-Pay Discount: Pay up front by Zelle, ClearXchange, check, or money order and get this case for $185.22. Please contact us for details. 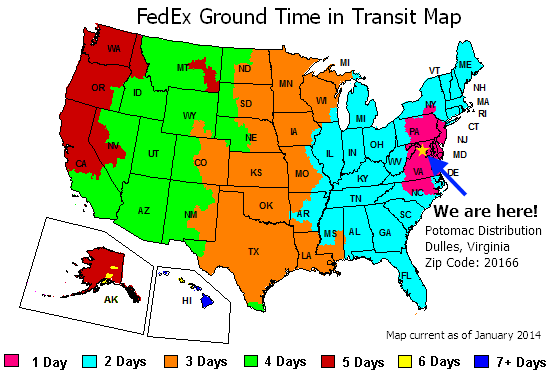 *** Special international shipping rates available for Heroclix. *** Please email us at sales@potomacdist.com for more information. The Illuminati originated as the world's most powerful think-tank, operating in secret and representing the interests of all superhuman communities. They have collaborated and dealt with many threats to the world, including alien wars, cosmic forces, and some of the most powerful weapons in the universe. Eventually the Illuminati found themselves in possession of the Infinity Gems and split them up among themselves for safekeeping. 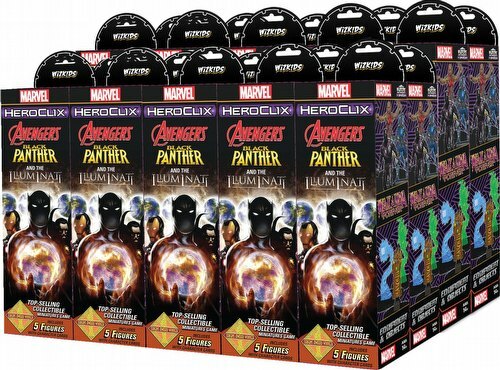 The Marvel HeroClix: Black Panther & The Illuminati 5-figure booster release features many fan-favorite sub-themes like The Avengers, Wakanda, The Cabal, Elders of the Universe, The Illuminati, as well as brand-new equipment-objects like the Cosmic Cube, Infinity Gems, and the Infinity Gauntlet! Look for new figures and objects to power-up your collection in addition to never-before-Clixed characters like Astronomer, Challenger, Eitri, Enigma, Everett K. Ross, Kobik, Okoye, Rune, and more! 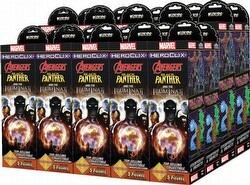 Each case contains 20 packs.